Sharron is not only a teacher, trainer, consultant, and play guru. She does Birthday Parties! Though now retired, she has conducted hundreds of children's parties. 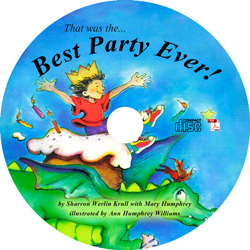 Her popular party book, That Was the Best Party Ever! 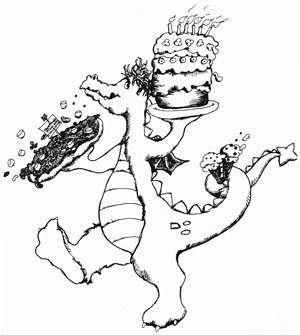 How to Give Birthday Parties Kids Will Never Forget, while no longer available in print, is now available in a PDF version for your computer. Learn the secrets from a veteran children's party planner of how to give, plan, organize (and even enjoy!) a tension-free birthday party your child will never forget. You'll get expert advice on invitations, decorations, "everyone wins" games, gift opening, party favors, refreshments and more. This book is filled with detailed descriptions of children's party ideas and seven different theme parties for the 4 to 12 year old. There are an additional 26 kids theme party ideas and celebrations (some seasonal) available for purchase as well. Sharron is a passionate, enthusiastic, and playful teacher who is always learning from the children and makes it her business to help you set your inner child loose! As an author, college instructor, and early childhood specialist for 42 years, she travels worldwide conducting staff training seminars, workshops, and keynote speeches sharing developmentally appropriate curriculum activities and resources. Sharron has been trained in the HighScope® Education Through Movement Curriculum, I'm Moving I'm Learning Program, and The Head Start Body Start National Center for Physical Development and Outdoor Play. Children's birthday party and celebration ideas! This is a great resource for parents, teachers and educators for integrated curriculum. Explore Top 20 Party Planning Tips, downloadable individual party ideas, reviews, and That was...The Best Party Ever! How to Give Birthday Parties Kids will never forget. book. Explore and learn about lots of "really cool" new art materials, unique paints, and collage stuff that will develop children's sensory awareness and expand their imaginations. Whether you're "artistic" or "artistically challenged," learn how you can provide a stimulating art environment that will spark children's creative energy and joy for art. Circle time, also called group time, refers to any time that a group of children are together for an activity. It's a special time to share fingerplays, chants, and rhymes; sing songs; play rhythm instruments; read a story; and participate in movement games and relaxation activities. Circle time is also a wonderful time to develop listening skills and attention spans, promote oral communication, teach new concepts and skills, and have FUN. Ice Sculptures are a really "cool" way to explore water in all its physical states. 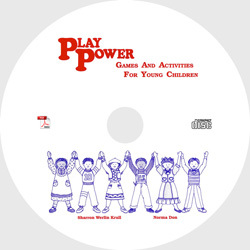 Big kids (including parents) all the way down pre-schoolers will love this hands-on activity.